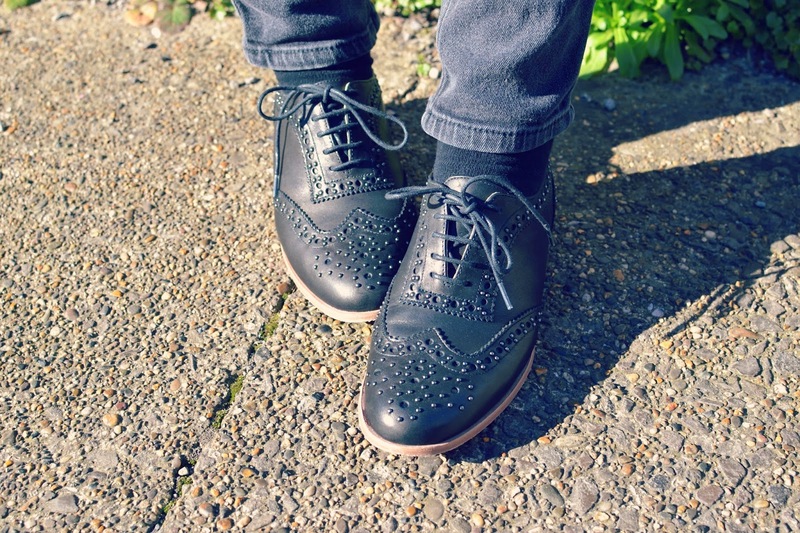 I've always been fond of a good brogue; these studded Clarks ones are no exception and I feel I don't wear them as often as I should do. 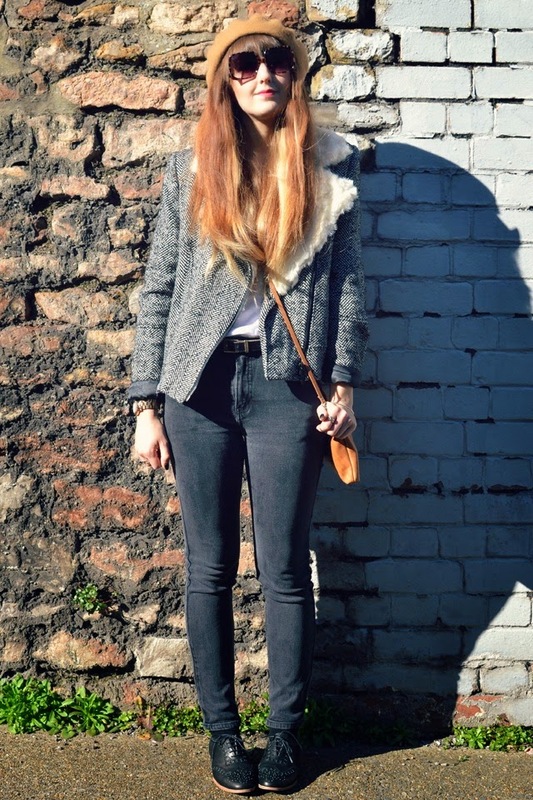 I've noticed a few girls lately wearing a brogue with a skinny jean and - crucially - a sock. I don't mean a frilly, girlie ankle sock, either (much as I'd like to try that look it just reminds me too much of something I wore at primary school) but a proper basic, boring black ankle sock, the kind you can buy in Primark, in bulk, for a couple of quid. I have loads of these; they're actually more like trainer socks and I bought them to wear with boots but I am having a crack at rocking them with this skinny jean/ fugly shoe combo. I've worn this look a couple of times and I am beginning to like it; I still maintain I'm probably not tall enough to make it look as good as every other girl I've seen wearing it, but it's a definite win for interminable trans-seasonal days. I like the fact that this is a step away from boots, yet requires no commitment; no pedicure is needed and no expanse of winter-white flesh is on show. Yesterday I saw a lady rocking a mini dress and bare legs, and then another wearing a floaty maxi and flip flops. Damn, girl! it's not that warm yet! I've not even cracked out the ballet pumps yet! And that's the tipping point for me! Actually, I totally have worn ballet pumps this year. Once. And my feet were freezing. So yes-brogue/sock is working for me! 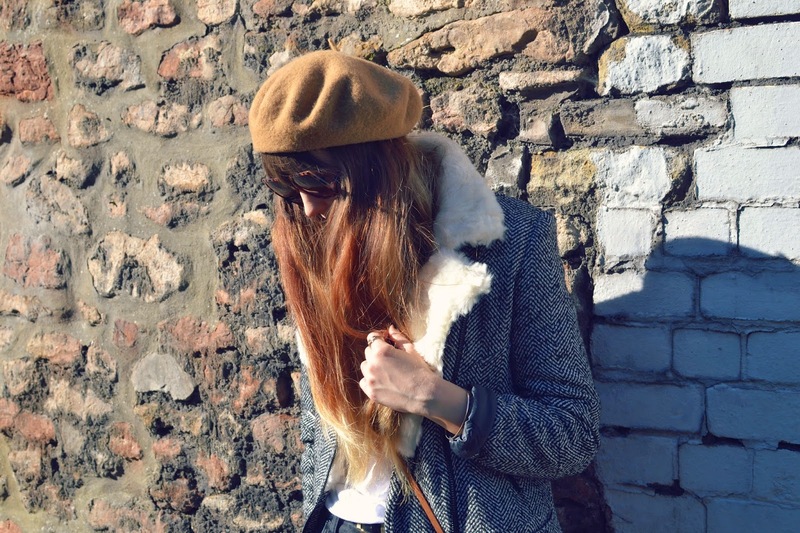 I recently got my hands on this little biker coat from Fashion Union. I've not heard much of this brand before, but I was pleased with the quality and softness of the jacket. It's cute with a laid back look and I think it would also look really nice with a little dress. 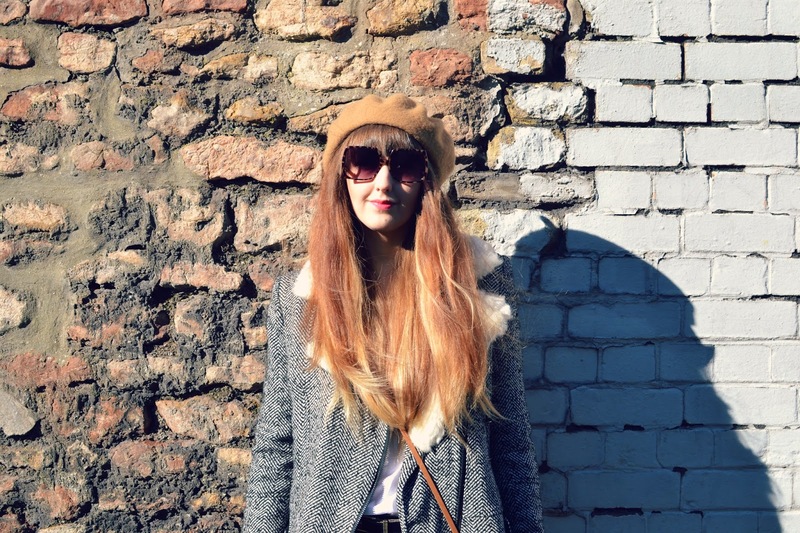 I feel very monochrome; classic, wearing all neutral shades and then lobbing on a slash of red lipstick and some leopard print sunnies to up the colour factor. I've said all year I am going to wear more colour but it's not forthcoming! The fit of this biker is said to be 'oversized' on the website but I didn't find it huge; maybe a little boxier on the shoulders but I really like the fit overall. It's nice to find this cut of jacket in something other than leather, and with the weather finally beginning to stop being so vile, it's light enough for everyday but still warm enough to be practical (this is still Britain, after all.) You can shop it here if you like it! Don't forget to use the discount code in the banner to the side of my blog, too, for some money off your order! These jeans were a charity shop find; one of the first things I found in the charity shops when I moved to Bristol. Three years on they are still going strong and despite being a little more faded now than when I first got them, they are super easy to wear and go with so much! Even a brogue and a sock, so it would seem!